BSM Media worked with Britax, a global manufacturer of childcare products, to create a buzz online about the company’s new Endeavours Infant Car Seat. By activating the Social Spotters network to find the Britax Endeavours Infant Car Seat in Buy Buy Baby and specialty retail locations and take and share photos of them online, we were able to increase brand awareness and recognition for Britax among mom consumers. Our Social Spotters were most impressed with the steel anti-rebound bar in addition to Britax’s superb safety standards. 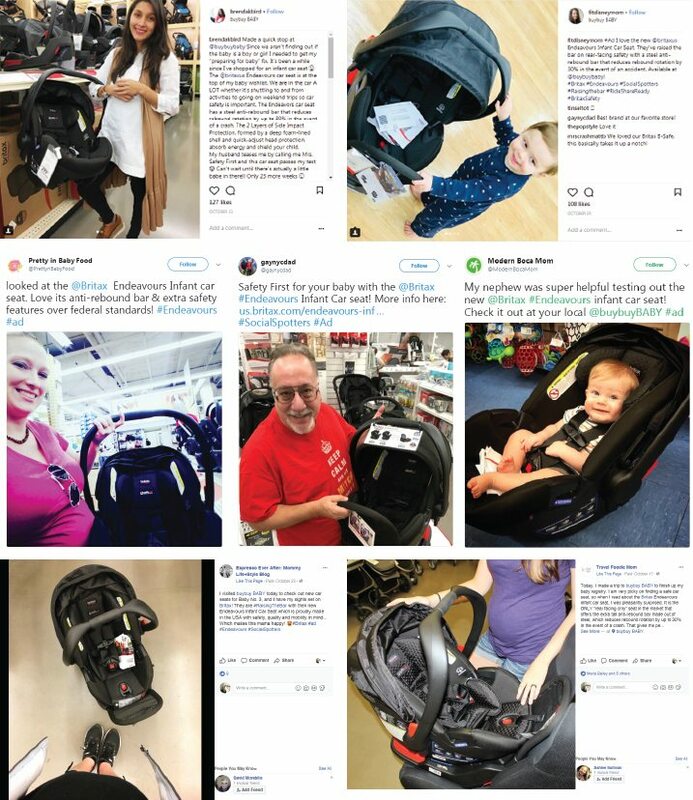 BSM Media exceeded impressions benchmarks for this campaign and all of the influencers reported their intent to purchase and recommend Britax products in the future. Based on the measurements and the positive feedback from our influencer network, this campaign was a success!